Kids of 6-7 years listened interesting story about national symbols and history. 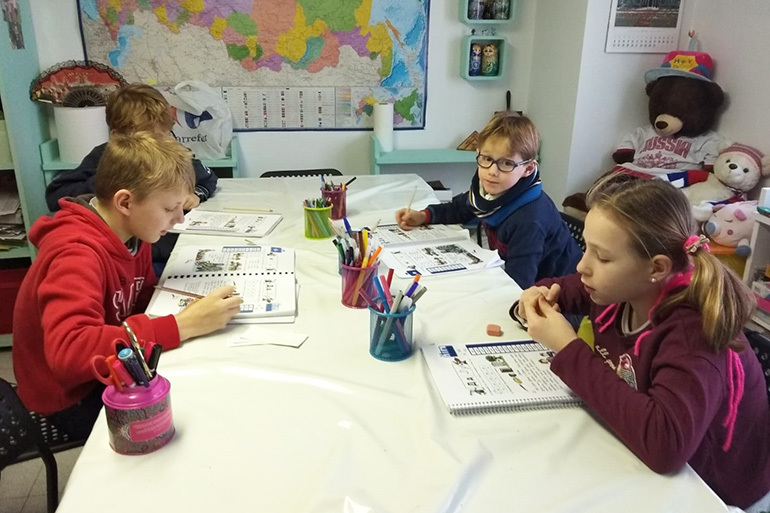 Children of 5-6 years learned Russian alphabet and developed reading skills. Preschoolers were acquainted with Russian fairytales. Older children (7-11 years) learned about personal pronouns and made an angel, the symbol of Christmas.